Today was a long day of sirens and rockets and injuries. I think I will end my posting for today with something different. I frequently write posts about things that I find unique and wonderful about Israel under the title “Only in Israel”. Sometimes it is about topics referring to the combination of Jewish law and modern technology. Sometimes it is about the wonderful people that you find in Israel. I decided to take a break from the updates about rocket fire to make a compilation of “only in Israel” stories reflecting the current war. First, the heart and soul of our wonderful soldiers and citizens – this is a link to an article, with video, of an Israeli officer wounded by a rocket being carried to an emergency room on a stretcher, who insists on hearing about the other soldiers in his care who were also wounded. Here is an article about a student in Beersheba who decided to stay in the city despite the rockets, and he explains why. Second, the marriage of Jewish law and the modern world. Many Israelis are either Orthodox or traditional, and keep the Sabbath according to Jewish law. One of these laws prohibits listening to the radio (or looking at tv or going onto the computer, etc.). During the war, those who live in areas under rocket attack usually have the radio on, so that they can get the warning in real time when a rocket is coming in (this is usually louder than the sirens outside). How do Jews who don’t listen to the radio on Shabbat protect themselves? In Israel there is what is called the “silent channel”. The radio on this channel only broadcasts when a siren goes off – otherwise there is silence. In this way a Jew keeping Shabbat can have the radio on and it will only be “used” in case of danger to life. 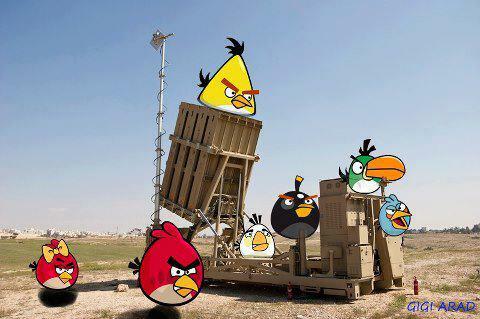 Third, the life affirming sense of humor of the Israeli people. I think we are probably the best in the world when it comes to gallows humor. I listened to the radio interview of a member of a kibbutz located very close to the Gaza border. She described her kibbutz as “the one that first received the ‘ahavat chinam’ of the terrorists”. Ahavat chinam (literally translated “love for free” or unconditional love) refers in Judaism to when Jews love each other even if the other does not deserve it. This is in contrast to sinat chinam, unconditional hate, that we sometimes have for each other and is considered a huge sin in Jewish life. Obviously the woman was being sarcastic, but in a Jewish and sophisticated way. Please send me more examples of Jewish humor relating to our situation now. I think everyone could use some of it!